Most of us understand what anxiety is; after all, we have all felt fear and uncertainty at some point in time. But do we know when does anxiety become a medical condition that needs therapy? Do we understand what anxiety disorders are? So when someone says that sleep apnea and anxiety share close links, you are at a loss. What has sleep apnea, no matter how distressful it might be, ever have links with a mental problem? Before we discuss such associations further, we need to know a bit more about anxiety. When does anxiety turn into anxiety disorder? What are the different types of anxiety disorders? You have surely heard about panic attacks. But what exactly are these sudden and gripping episodes of fear and trepidation that are also called anxiety attacks? Most importantly, why and how are these psychological problems linked to sleep apnea? We know what it feels like when we are ‘anxious’. Primarily caused by either physical or mental stress, these feelings of fear, etc are mostly temporary. However, the same feelings, when they persist for 6 months or more and the condition deteriorates when left untreated, is often referred to as anxiety disorders. This is a fairly common psychological problem, which affects close to 40 million American adults, of age 18 and above (18% of the population). Anxiety disorders encompass a variety of mental blocks and phobias which result in the patient becoming overwhelmed by a sense of fear, hopelessness and panic. 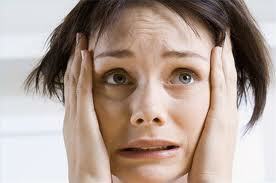 Panic Disorder is one of the five types of anxiety disorders. Panic disorder is a type of ailment that makes the victim nearly paralyzed with a sudden and overwhelming sense of unknown fear. The victim would experience the following simultaneously: profuse sweating,chest pain, shortness of breath, depersonalization, derealization, inability to move, and feeling of dizziness as if he or she would faint anytime. Such episodes are called panic attacks or anxiety attacks. What are the symptoms that accompany a panic attack? Panic attacks can happen suddenly without any warning. However, there are some signs that can help the victim or the people close by identify an impending attack. These include rapid palpitation, choking feeling, sweating excessively, chest congestion, feeling of disorientation and dizziness and/or nausea, shaking of hands, etc. How are these problems associated with sleep apnea? It is common for people with sleep apnea to have various types of psychological problems like depression, irritability, reduced memory, focusing problems, etc. Similarly, sleep apnea is also closely linked to panic attacks in sleep (also called nocturnal panic attacks). This could explain the recurrence of anxiety during the day culminating in panic attacks at night for the apnea patient. A specific type of anxiety disorder called the General anxiety disorder (GAD – anxiety lasting for more than 6 months) is most frequently associated with sleep interruptions. This particular disorder shares a lot of common symptoms with sleep apnea, like tiredness, diminished ability to concentrate, irritability, etc. On the other hand a person who has panic attacks show symptoms which are very similar to signs displayed by an apnea patients. These include major sleep interruptions, waking up frequently at night, insomnia, etc. A sleep apnea patient is most likely to show symptoms of a panic attack (according to The Diagnostic and Statistical Manual of Mental Disorders) including excessive sweating, trembling of hands, choking or asphyxiation, nausea and vomiting, pain in the chest, inability to identify oneself, fear of loss of control, fear of dying (very common with apnea sufferers), etc. It was shown in a recent st udy involving 301 subjects showed that sleep apnea can be responsible for panic attacks in sleep, or nighttime panic disorder. This during diagnosis of nighttime panic disorder, a differential diagnosis (a process of diagnosing a disorder whichdoes not display any unique sign) of sleep apnea is necessary. One of the side effects of sleep apnea is lowering oxygen and increasing carbon dioxide levels in the blood. This causes sleep interruption throughout the night. A chain reaction sets in that are biochemical in origin, which along with the over-active nervous system makes one stressed, anxious and irritable. Additionally, when the tongue recedes back during breathing, choking the upper airway, the apnea patient wakes up with a jerk, mostly in a panic-ridden state. Sleep problems are common in America, which affect over 40 million adults. While these people have chronic conditions, another 20 million have sleep problems which are temporary in nature. Prolonged stress, tension and anxiety are key factors for developing sleep disorders. Be that as it may, the question that can be asked is: which of these come first? It can work both ways. While anxiety can result in sleep problems, research shows that major deprivation from sleep can also result in anxiety disorders. What are the risk factors for developing panic disorders? Though no causal factors have yet been identified, there are a few medical conditions which increase the risk for developing panic disorders including panic attacks – and sleep apnea is one of them. It has also been found that sleep apnea could worsen the symptoms of Post Traumatic Stress Disorder, yet another type of anxiety disorder. Sleep panic attacks are considered to be continuation of daytime feelings of extreme anxiety and stress. In fact, 70% of those who experience daytime panic symptoms would experience them during sleep also. The reason why they happen is not known but researchers have hypothesized on some possible factors. These include current sleep problems, malfunctioning of the biochemical system, lifestyle factors, etc. Though sleep apnea may not directly cause nighttime panic attacks, but the two conditions share a lot of common symptoms, to the extent that an apnea episode closely resembles a panic attack. Pauses in breathing not only cause drop in oxygen (responsible for fast breathing and the heart to beat faster), which leads to an increase of stress hormones. With such a situation, the patient experiences sudden panicked awakening, which is very similar to having a panic attack. Incidentally, with the rise in levels of oxygen, the heart beats slowly. It is also to be noted that carbon dioxide levels are higher than normal with people who have nighttime panic attacks, even when the individual does not suffer from sleep apnea. There is no explanation of this, yet. Donald Klein, a psychiatrist from New York , who is the creator of the theory of ‘false suffocation alarm’, opined in 1993 that each one of us have an individualized system of monitoring the carbon dioxide and sodium lactate content in the body. This is now widely accepted by most researchers. Both these elements rise when a person is suffocated. He mentions that the cause of panic attacks may be caused when a person has either an over-sensitive suffocation monitoring system or a system which is not functioning optimally. The problem that needs to be addressed is diagnosis of nightly panic attacks. During diagnosis of panic attacks which occur during sleep, doctors usually check whether the patient is suffering from co-existent hypoglycemia, hyperthyroidism, any anxiety disorder related to trauma etc, but never relates sleep apnea with this condition. Polysomnography, ECG, manometry and pH monitoring are some of the tests that can be performed to rule out the existence of this sleep disorder. While recurrent breathlessness associated with sleep apnea results in repeated awakenings for sleep, they are not associated with symptoms of great anxiety. However, sleep apnea is likely to be responsible for the onset of panic attacks because of the ailment’s impact on blood pressure and heart beats. Many of us know that extreme stress and tension result in anxiety. What we may not know is that during moments of great stress, our breathing tends to be shallow and short. This leads to a build-up of carbon dioxide in the blood. One study has shown that excess carbon dioxide affects that segment of the brain (amygdala) that is responsible for causing extreme fear as well as panic attacks. Thus it is logical to conclude that when shallow breathing of sleep apnea causes oxygen depletion and increase of carbon dioxide levels, the result is an engulfing sense of fear and panic. In any case, anxiety is a rather complicated mental condition which shows up by way of various emotional and physiological signs. Poor lifestyle choices and feeling stress often are two reasons why people develop anxiety disorders. 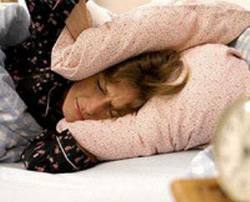 One of the most important health conditions that cause anxiety is sleep apnea. Sleep deprivation happens to be the point of link between sleep apnea and panic attacks. What has the heart got to do with all this? It has been observed that people who have panic attacks in sleep have what is medically known as beta-adrenergic hyperresponsiveness (relates to excessive responses of certain receptors of the heart that results in palpitations, discomfort of the chest, etc). This results in several arousals in a minute with sudden rise in pulse rate, teeth clenching, etc. 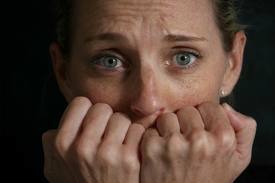 People who experience nocturnal panic attacks have adrenalin levels that are normal. But, at the same time, they are also hypersensitive to any external trigger that would result in release of adrenalin and may show heightened response with more severe anxiety, unusually high pulse rate, etc. What kind of triggers can make this happen? Other than caffeine and stress, sleep apnea is capable of triggering nighttime panic attacks by releasing excess adrenalin when the upper airway collapses. Of the many triggers that p romote the onset of sleep apnea, alcohol is a known culprit. It over-relaxes the muscles of the throat, which in turn can collapse and block the airways during sleep. But did you know that alcohol consumption can also trigger panic attacks? To understand how this happens you have to recall the different stages of sleep including light, REM sleep and the non-REM sleep or the deep restorative phase. Though alcohol consumption may appear to relax and put the individual to sleep quickly, in reality it stimulates and disrupts the normal rhythm of sleep. This results in the individual not being allowed entry into the REM stage of sleep in the sleep cycle. Panic attacks usually happen when the person in the deepest phase of sleep, which is usually during the initial hours of sleep at night. Alcohol essentially, bars the transit from non-REM stage to REM stage of sleep, which makes the environment conducive for panic attacks. How to manage these two conditions? It has been proved beyond doubt that sleep apnea can be a leading cause for panic attacks. Therefore, patients who report symptoms of panic attacks should be tested for the sleep apnea, to rule out the ailment as a possible cause. Some doctors take a systematic approach to treatment, the first step of which is to identify the precise reasons for beta-adrenergic hyperresponsiveness and simultaneously rule out disorders like seizures, etc after they review the results. Then they advise the patient to make some lifestyle modifications like giving up alcohol, caffeine, etc, followed by evaluating sleep apnea. It could so happen that certain medications including anti-depressants might have to be administered for the management of beta-adrenergic hyperresponsiveness. While CPAP therapy could have been the ideal choice for managing sleep apnea symptoms, it is rather difficult to treat a patient of panic attacks with this therapy because the sensation of claustrophobia after mask use may result in discontinuation. However the use of certain CPAP alternatives like nasal pillows, can be considered instead of full face or nasal masks. 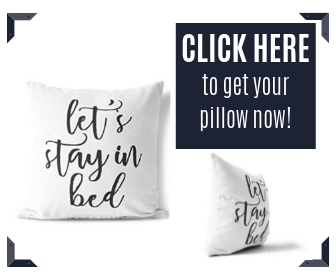 Changing sleeping posture, sleep apnea dental appliances, sleep apnea pillows, etc are effective alternatives to CPAP usable by apnea patients who have panic attacks. Undiagnosed sleep apnea can result in panic attacks sooner or later; thus it makes sense to get evaluated for sleep apnea if you experience any symptom. 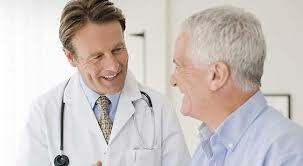 There is always the option to treat the two conditions separately using effective methods of treatment. For example, medications for inducing sleep, Cognitive Behavioral Therapy, relaxation techniques can reduce the symptoms of anxiety and panic disorders. Meditation, doing physical exercise, effective time management, etc can be effective stress busters and improve quality of sleep. Over and above losing weight, quitting alcohol, altering sleeping position, etc the sleep apnea patient can simultaneously practice good sleep hygiene to get relief from the distressful symptoms.